Soft Tulle over Silky Satin with 3D Soft Tulle flowers and Swarovski crystals, rhinestone, and pearl beaded trim finished with a rolled hem. 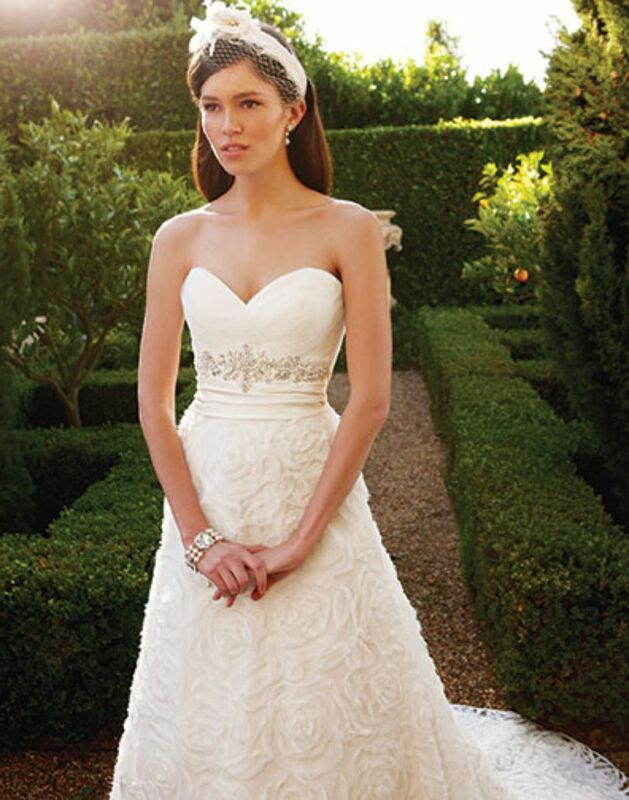 Pleated Tulle sweetheart bodice is accented with a ruched band and crystal buttons on zipper. 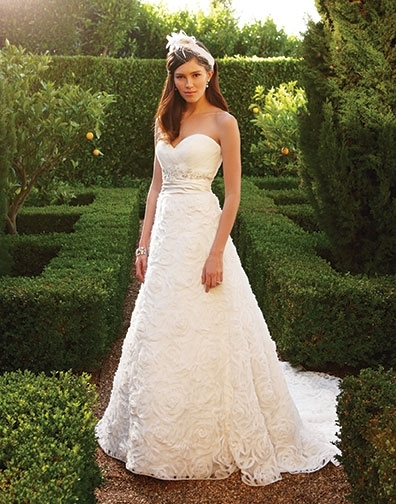 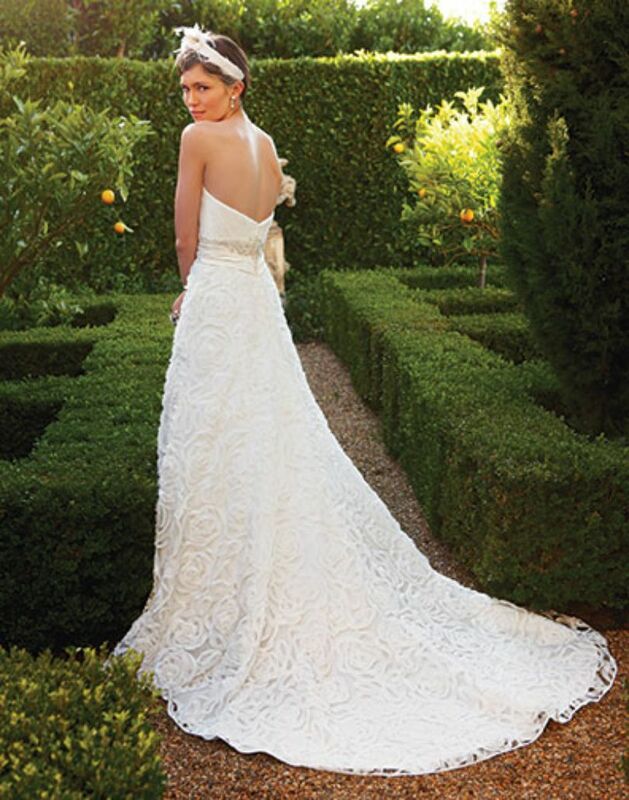 Fabric: Soft Tulle over Silky Satin with 3-D soft tulle flowers, and Beaded trim.